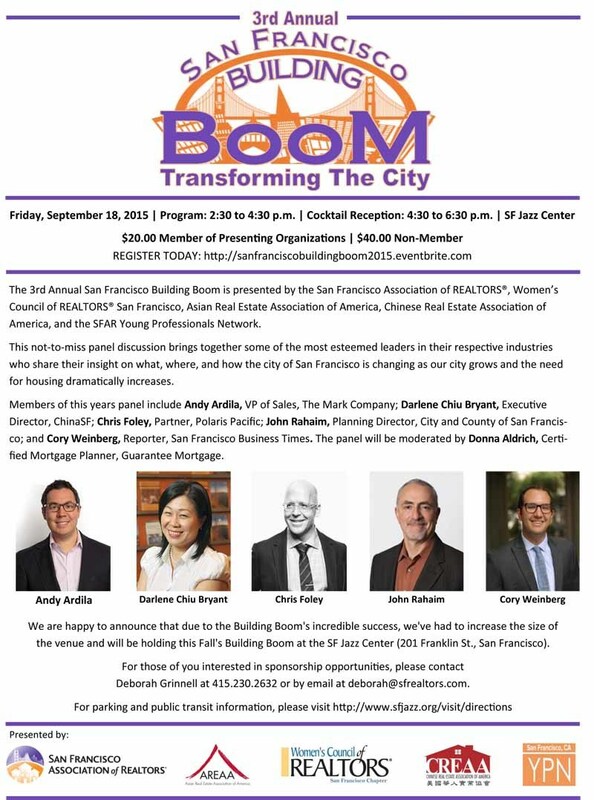 Friday, September 18th I had the pleasure of attending the 3rd Annual San Francisco Building Boom presented by the San Francisco Association of REALTORSⓇ, a panel discussion of the new residential building projects transforming our city. Please listen to the discussion here and enjoy! Are you getting my monthly San Francisco newsletter? You can subscribe here.